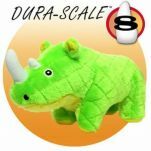 Rethink durability with Mighty Dog Toys! Soft yet MIGHTY strong! These toys have multiple layers sewn multiple times. They have no hard edges to discourage chewing habits. They've got 2 layers: plush outside with a durable fleece inside. 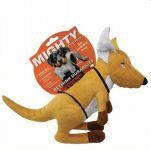 Rethink durability with Mighty Dog Toys!